In my past job as an in-house graphic designer for a company, I learned that time is money and having a versatile library of royalty-free images is a necessity. But versatile doesn't have to mean boring. I created BOOM with fun and love. Whether you're looking to grow your photoshop materials library, make an album cover for a band, or put together a powerpoint background for a presentation - you're going to love the high-impact result of the BOOM 60 Textures Bundle. The growing collection of my photos resulted in my largest and loudest background bundle release to date. BOOM: a mega bundle of 60 backgrounds/textures which I just released on my Creative Market shop. The mega bundle includes 60 high resolution (300 dpi) JPGs sized at 5100 x 3400px. You can also purchase BOOM 01-06 directly through my web store in smaller packs of 10 images. Most texture packs I find online are intended for subtle blending and layer overlays. BOOM will work for overlays but was made with the opposite intent: to pop off the screen and be to use immediately with little editing required. Mmmmm textury design goodness. 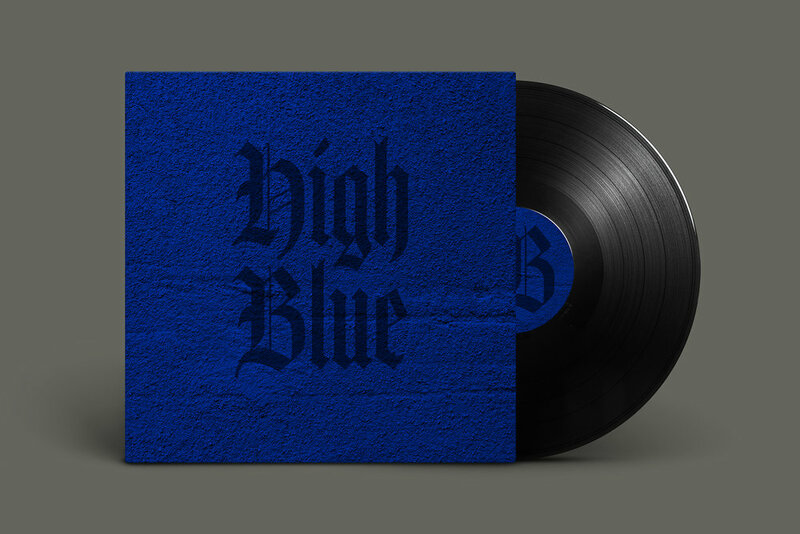 A vinyl record album cover made using BOOM. BOOM is perfect for album artwork for bands or musicians - is large enough to use for vinyl album covers - social media ads, posters, and would play nicely with screens or motion graphics for TV/film. BOOM was made with lots of fun and love. I hope you have as much fun playing with it as I did making it! Here are thumbnail previews of all 60 backgrounds/textures. Format, sizing and terms: JPG, 300dpi, 5100 x 3400px. Royalty Free. Boom background preview thumbnails 1/2. Boom background preview thumbnails 2/2. Why Pay for Textures from Citizen A? Benefits of paying for professionally made Royalty Free textures by Citizen A vs. downloading from free texture websites. 1. Licensing: You don't have to worry about licensing issues that may arise from sourcing from free sites that potentially source images from multiple authors. When you purchase from Citizen A, your texture library is yours to use and re-use without having to pay for multiple licences. 2. Avoid a lawsuit: You ensure you're not unintentionally using stolen images from a photographer, designer or illustrator. Copyright is in the US/Canada is generally held by the original creator unless a contract has been signed to sign over the copyright to a new owner.